The Chinese manufacturer Xiaomi is now presenting the device Amazfit in a few days at the big IFA technical fair after countless rumors of a possible smartwatch from the manufacturer. After several fitness bracelets, a smartwatch for children and several smart kitchen appliances, the company now takes a step further and presents a “true” smartwatch for adults. According to the first impressions, this is probably a relatively unspectacular wearable. Many observers had expected a bigger litter with an extravagant Smartwatch. However, the release, which runs through the Xiaomi subcontractor Huami, could only be a predecessor of a larger project. 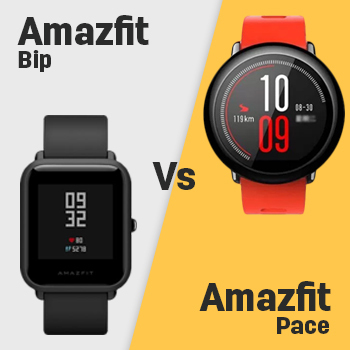 Because it looks like, the Amazfit is only published in China. For a worldwide release, there is currently no backed up information. Even if you can not easily buy such a Smartwatch, it is worth taking a closer look at the intrinsic values ​​and functions. The Smartwatch, for example, will be the world’s first to install a small 28 nm GPS sensor. The display has a diagonal of 1.34 inches and a resolution of 300 x 300 pixels. An optical pulse meter on the back of the Smartwatch also measures the heart beat of the wearer. The operating system is a dedicated OS, while the smartphone app runs on Android smartphones. The recharge time should be five days (with GPS tracking, however, only 35 hours). With an IP67 certification, the device should also be relatively resistant to environmental influences, but it is not suitable for swimming. With an additionally quite neat processor (1,2 GHz, 512 MB RAM and 4 GB internal memory) a price of 799 yuan (just over 100 Euro) appears as quite favorable.